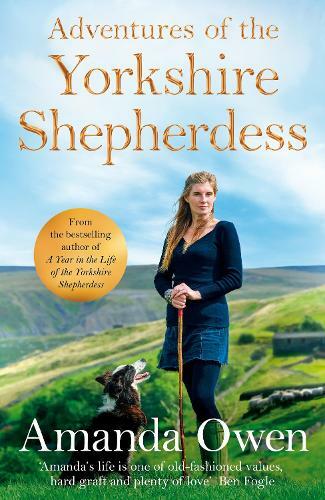 We are delighted to welcome Amanda to Waterstones Nottingham on Wednesday 19th June for an evening of stories and photos to celebrate the release of her latest book, Adventures of the Yorkshire Shepherdess. "Amanda’s life is one of old-fashioned values, hard graft and plenty of love. She, like her life, is extraordinary"
A Sunday Times bestselling author, Amanda’s warm and entertaining books share the daily ups and downs of farming beautiful but tough terrain, offering a unique glimpse into a rural way of life unchanged for generations in this Dales community.